If your South Florida real estate website is making a poor showing on search engine results, it may be time to hire a professional real estate SEO company. With the vast majority of home buyers now searching online during their home buying process, you need your real estate website to achieve the highest search engine ranking possible. Real estate search engine optimization (SEO) services are the key to accomplishing this. When correctly applied, SEO services will cause your real estate website to appear higher on the results of search engines like Google and Bing, which will greatly improve the volume and quality of traffic your website receives. Finding an online Real Estate SEO company is easy; finding a reliable South Florida Real Estate SEO Company with the experience and skills to reliably deliver the results they claim is a bit more difficult. How can you tell if a South Florida Real Estate SEO company can deliver the results they claim? The right real estate SEO company will present you with a detailed plan for SEO management so you can verify that they are skilled in a variety of optimization services, including keyword research and analysis, search engine submission, strategic link building analysis, and more. Raising your real estate website’s position on nationally used search engine terms can be difficult; make sure the company you choose understands this and is prepared to implement a local SEO real estate strategy that focuses on tightly targeted neighborhood search terms where competition is less fierce. Since search engines consider the content on your real estate website when determining its place in search results, the SEO company you choose should include a full roster of real estate SEO copywriting services. Look for a company that can provide interesting, relevant content for your website that contains a mix of local real estate keywords and contextual keyword phrases in the optimal frequency to raise your ranking without sounding awkward. The ideal real estate SEO copywriter will be able to produce a variety of content that meets these criteria, including engaging website copy to generate real estate leads online; interesting, well-written real estate blogs; riveting SEO press releases; and other real estate promotional content as needed. Your real estate SEO company should provide you with real-time, enhanced reporting that tracks your website traffic and monitors your visitors’ online behavior; this will allow you to observe the performance of your website and gauge the effectiveness of the SEO strategies employed. 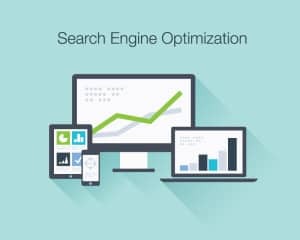 An effective real estate SEO company will use a variety of web tools to analyze results, and will adjust its real estate SEO strategies as needed to return the greatest ROI. If you are unhappy with your real estate website’s search engine performance, the marketing team at For Sale Marketing can help! As a leading South Florida real estate web design firm, For Sale Marketing can provide you with complete South Florida real estate SEO services as well as an expertly optimized real estate website that incorporates lead generation forms, social media marketing, and much more. Contact For Sale Marketing today at 954-779-2801 for expert South Florida real estate SEO services that will help your agency grow!